Publishing INC. will not cease to delight us with a collection of bestsellers. In this we will tell you about 7 must read books for personal effectiveness and self-development that we highly recommend you to read to expand the horizons and increase productivity. 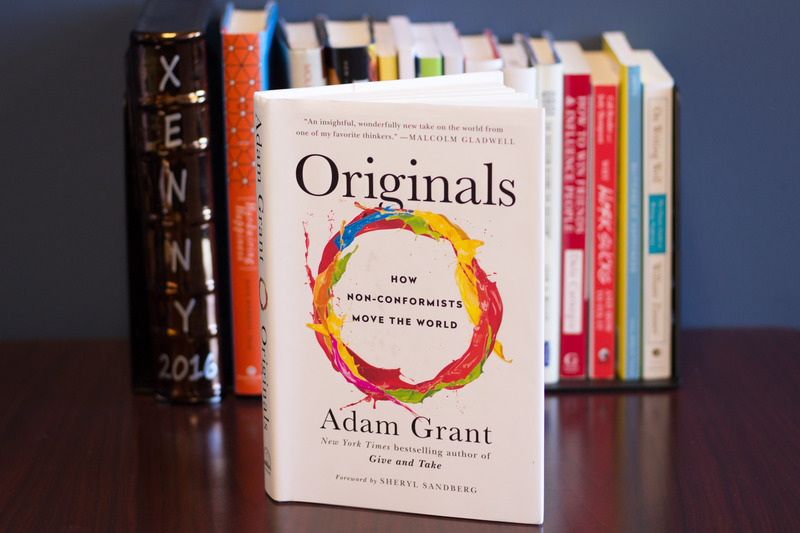 The book of Adam grant “the Originals: How Nonconformists Move the World” has become one of the major business bestseller 2016. A book praised by such publications as The New York Times, The Financial Times. Book reviews the investor and entrepreneur Peter Thiel, Director J. J. Abrams, entrepreneur Richard Branson, publisher and writer Arianna Huffington, journalist and author of “Geniuses and outsiders” Malcolm Gladwell, and Facebook COO Sheryl Sandberg. Adam Grant is an organizational psychologist and the youngest Professor at the Wharton school of Economics, columnist for the New York Times and business consultant such giants as Johnson & Johnson, Google, Pixar. His bestseller “the Originals. As nonconformists move the world” tells about the people with innovative thinking about how to recognize them and help unlock their talents. Best seller 2016 “Grit: The Power of Passion and Perseverance” the first book of Angela Lee Duckworth, Professor of psychology at the University of Pennsylvania and founder of private research and practical center that studies the features of human personality and character. Topics of scientific research of Angela Duckworth’s tenacity and perseverance that determine life success more reliably than innate talent. Best seller 2016 by Amazon and The New York Times. This book will teach you to think like a non-conformist, will help to break up with old stereotypes and create new rules that will help you become strong and successful. This “collection of laws” that will help to escape from the shackles of everyday life and become who you are destined to become. However pathetic it may sound. This book was published just a month ago (October 11, 2016), but has already received 235 positive reviews on Amazon and has an absolute rating of 5 points. Grant Cordon is a successful entrepreneur, a millionaire, except that he leads his column for The New York Times. In his book he talks about his own experience about how built 5 successful companies and became a multimillionaire, what ideas helped him up from the very bottom and become a successful entrepreneur. The book of Charles Duhigg “Smarter, faster, better”, the author a super bestseller “the Power of habit” on the effectiveness of human labor. The author does not mean that you need to work more harder by the day not to leave the workplace or to bring other victims to the detriment of family and health. The efficiency increases when we make choices, taking decisions. According to Duhigg, the world is experiencing an economic and social revolution. Communication and technology, conceived to make life easier, in fact, is filled with tension and forced to work harder. And all because the people have almost ceased to use their own mind, entirely relying on job descriptions and software. Duhigg explains how to set goals and achieve them how to see the problems hidden opportunities and develop a creative approach to solving problems. The book was published in August 2016 and includes a collection of the best quotes and sayings of the guru of personal effectiveness by Napoleon hill. Definitely recommend to those who want to Express the form to see the creativity of the author. 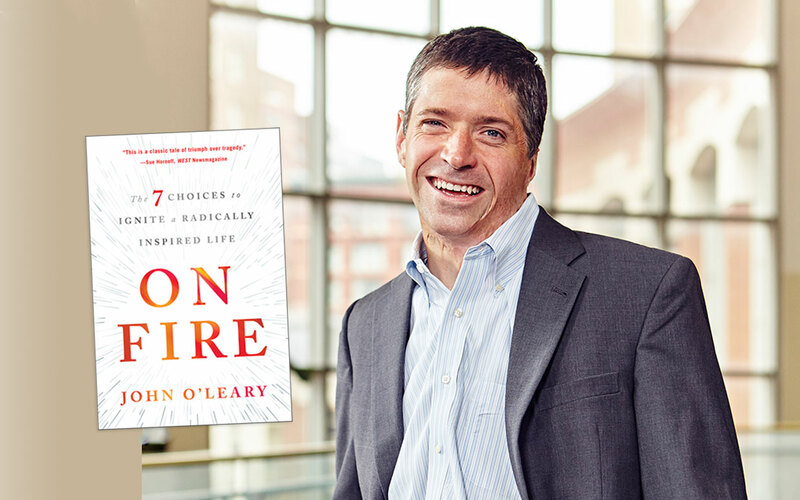 The John O’leary was published in May 2016. And today has 326 positive feedback and perfect 5 score on Amazon. When John was 9 years old, he almost died in a terrible fire that left his body almost 100% burns. But he survived, went through the terrible pain of recovery and the most complicated psychological tests. Now he lives a full and rich life and shares his experiences with other people. In this book, truthful and touching story about triumph over tragedy. It contains reflections O’leary about what lessons he learned from this situation, and what thoughts helped him through all the tests and the people who supported him, taught and stood beside me. One mastered for those who want to learn how to behave in the most extreme situations, to extract from them a positive lesson and become a winner.